Blackstone’s rooms pay tribute to old tv shows, from As the World Turns to Wonder Woman. 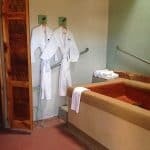 Main property rooms have unlimited use of in-room hot springs. 4 Luxury baths for walk-ins. 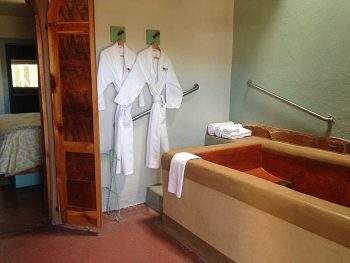 1940s traditional spa services include on-site hot springs mineral baths (one soak per person per night). Most rooms have kitchens. Lodging guests have access to private baths, either inside or outside, depending on the room. 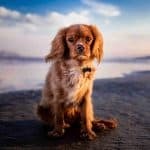 Pets are allowed for an extra fee. 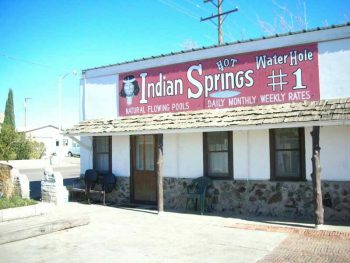 Indian Springs was established in the 1930s. 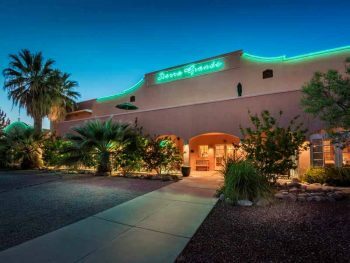 Two private, natural-flowing hot spring pools are situated next to six ’40s-style efficiency apartments. 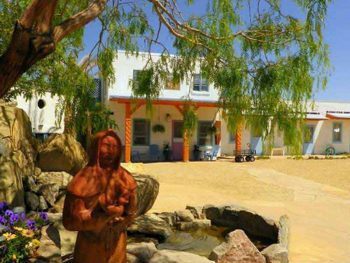 La Paloma, formerly Marshall Miracle Pools, is a natural free flowing bathhouse with no pumps or pipes. Originally the first car park in T or C, it is now a quiet and peaceful space to escape the stress and demands of life. 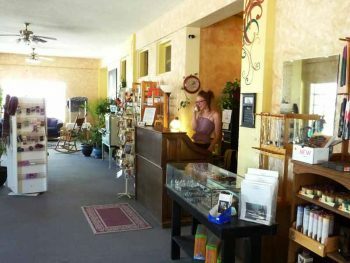 Stop in, take a breath, have a soak and find yourself. 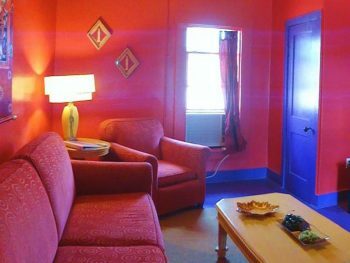 Affordable overnight lodging in several downtown locations with unlimited hot spring soaks available to lodging guests on a first-come / first-served basis. Riverbend offers lodging, public and private pools on the banks of the Rio Grande, a sauna, and unmatched views of the river and Turtleback mountain. 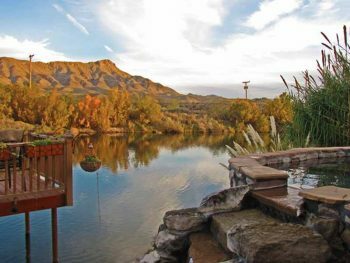 Sierra Grande offers full spa services, hot spring baths, a 2-bedroom casita, and eco-tours to two ranches owned by Ted Turner—the Armendaris and the Ladder.